Samsung Galaxy S8 Plus is more or less like a bigger variant of the Samsung Galaxy S8. Aside having a bigger screen measuring 6.2-inches and a larger capacity battery, the Samsung Galaxy S8 Plus shares every other feature with its more compact sibling. You can also checkout the more recent Samsung Galaxy S9 Plus. Design-wise, the Samsung Galaxy S8 Plus is similar to the Galaxy S8. It features a similar curved glass and metal design. The physical home button has been replaced by an onscreen home button that offers haptic feedback more like 3D Touch. Samsung Galaxy S8 Plus sports a 6.2-inch Super AMOLED display. However, it maintains the same 1440 x 2960 pixels resolution as the Galaxy S8. The front and rear of the phone is covered with Corning Gorilla Glass 5. Samsung Galaxy S8 Plus has a 12 megapixels rear camera and a new improved 8 megapixels front facing camera. Samsung Galaxy S8 Plus is powered by an octa-core Qualcomm Snapdragon 835 chipset in the United States. Models sold in most parts of the world will be offering Samsung’s Exynos 8895 Octa chipset. Samsung Galaxy S8 Plus has 4GB RAM and 64GB built-in storage with support for up to 256GB microSD memory card. It supports Bluetooth 5.0 (first phone to support), USB Type C (USB 3.1), dual-band Wi-Fi, wireless charging, and NFC. 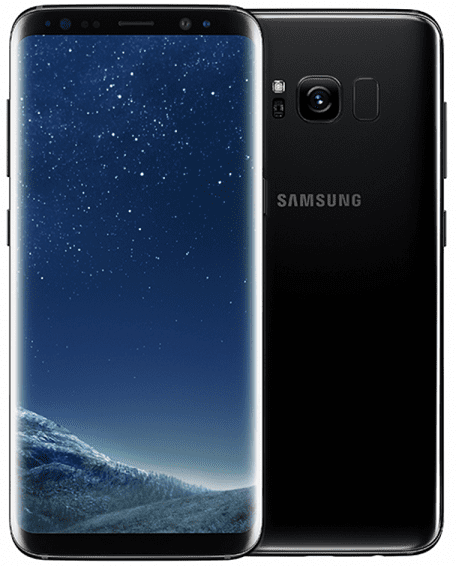 Samsung Galaxy S8 Plus like its smaller sibling offers Gigabit LTE with download speeds of up to 1024 Mbps. The smartphone will support 4G LTE in most countries including Nigeria. Samsung Galaxy S8 Plus will support LTE on Glo Mobile, MTN, Etisalat, NTel, Smile, and InterC. Samsung Galaxy S8 Plus is loaded with Android 7.0 (Nougat) with the usual Samsung UI skin. It also comes with Samsung’s new intelligent digital assistant, Bixby. 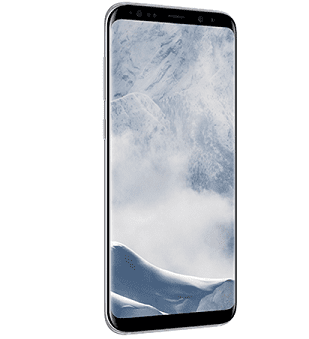 Preorder for Samsung Galaxy S8 Plus and Galaxy S8 began March 30 in the United States and other select markets. The Android phone started selling globally on April 21 starting with countries like the United States, Australia, and United Kingdom. Price starts at around $840. It currently sells for around $460 on Amazon, See Offers. Samsung Galaxy S8 Plus is now available in Nigeria, Ghana, and Kenya. You can now buy the phablet at leading online stores in your country. Samsung Galaxy S8 Plus Price in Nigeria ranges from 155,000 Naira to 250,000 Naira depending on your location in Nigeria. The Price of the Samsung Galaxy S8 Plus starts at 69,999 KSh in Kenya and GH₵ 2950 in Ghana.